Gold has always been a pretty attractive investment, as a way to preserve wealth from inflation and currency swings. Gold is one of the rare assets that has held its value over the course of several centuries. Because it is a physical investment, it is always recognized for its tangible value, rather than a piece of paper saying the central bank of such country will honor that commitment. If you are starting to invest, gold is a good way to balance other riskier investments. Especially if you are looking at the long term, such as saing for your retirement a couple of decades from now. There are many ways you can invest in gold. You can buy physical gold, in the form of gold bars or gold coins, or invest in a gold mining company, and so on. 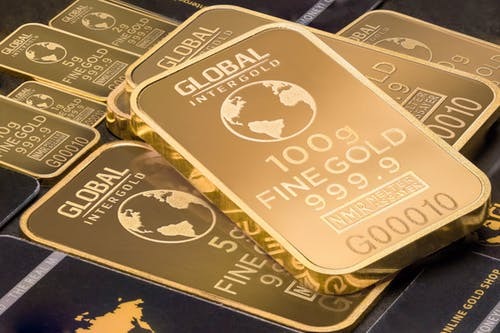 A gold and precious metals mining investment such as the one offered by Raptor can be wrapped into an Inividual Savings account, meaning you can invest up to £20,000 for the tax year, and all your capital gains for the life of your investment will be tax free. You just need to be careful that if you bring money over from an existing ISA, it needs to be handled by the new ISA provider, or you risk losing your tax free benefits. Raptor has a three year term and offers 8.0% PA over that term. It requires a minimum investment of £2,000. Be sure to only invest money you can afford to lose or leave there for a few years. If you end up withdrawing early, you could end up with less than you invested, and you would not be able to fund your ISA for the year to the extent of what you withdrew. Say you invest £20,000 into your ISA, and end up needing £5,000 quickly. Even if the tax year is not over, you cannot put the £5,000 back, ever again. So it makes sense to keep a little bit of your savings liquid and invest at the end of the tax year. As with everything, your portfolio should be balanced and reflect your life goals. Younger people can afford to take more risk, as they have decades on the market to make up for a dip. However, if you are close to retirement, you want to have more liquidity and safer rates of return. Which is why gold makes a good option to diversify your portfolio. With Brexit looming, and a decade of economic growth behind us, it is likely that in the near future, we may get into a recession. Nobody knows when and why, but the markets work in cycles, and the good days can’t last forever. That is why keeping some gold investments can help you weather a tough market and economic recession. It can be hard to stay the course and resist selling your stocks when your portfolio loses half of its value. Usually, when the markets are down, gold is up. So your balance sheet will look better, and you will have less pressure to sell at market lows.